David Barsamian, director of the award-winning and widely syndicated Alternative Radio, is a winner of the Lannan Foundation's Cultural Freedom Fellowship and the ACLU's Upton Sinclair Award for independent journalism. He lives in Boulder, Colorado. 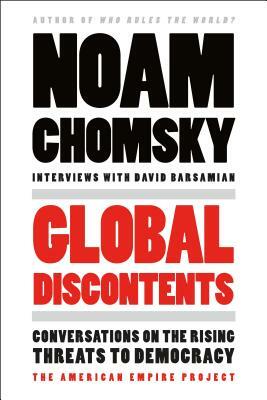 His interviews with Noam Chomsky have been published as books, including Imperial Ambitions and Global Discontents.